This year already in its 6th edition, the Jardin Abierto 2018 features more than 150 exhibitors, which beforehand have been evaluated and selected based on their formality, quality of their products, competitive prices, presentation of their products and eco-responsibility. They will offer a large variety of gift options and other useful or nice things. Additionally, some social organization such as the Fundación Oli, El Club de la Mama, Hecho con Amor, Dulce Acción, Operación Sonrisa and Albergue Vida will be present as well to sell their products which will generate much needed income. The entrance fee of S/ 20 will be donated to Magia, the Association of Volunteers for Children with Cancer, which works together with INEN (the National Institute of Neoplastic Diseases) in a tireless effort to cover the costs for medication, pediatric medical supplies, vaccines, medical equipment, transportation and accommodation ensuring the long-term treatment of children with cancer. These come from low income families from all over Peru to the pediatric ward of INEN for treatment and they and their families not only need medical care, but also support to cover other related arising costs. 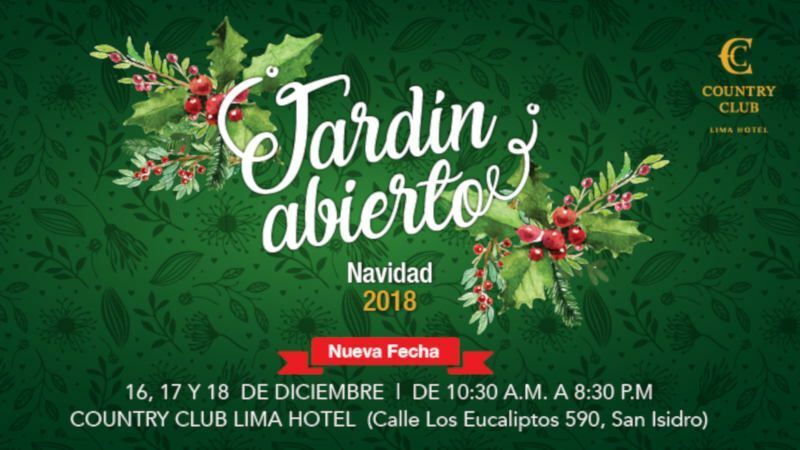 So, next to supporting a good cause with coming to the Jardin Abierto and buying some lovely presents, visitors can enjoy shows and live music for young and old, good food, an art exhibition and sale, and other surprises for everyone.